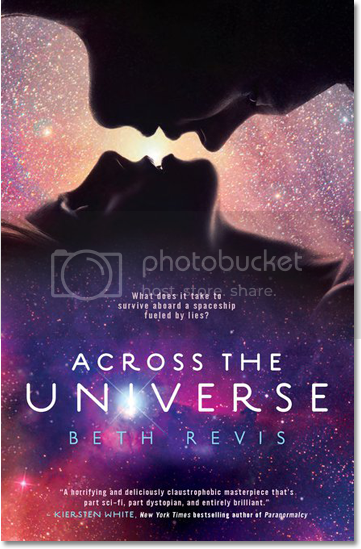 Across the Universe offers a uniquely wonderful blend of hard science-fiction and mystery with a bit of romance. 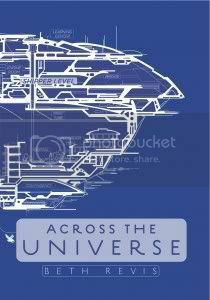 17-year-old Amy is faced with the decision of a lifetime, when her scientist parents eagerly accept positions on the colony ship Godspeed, heading to another planet. The plan is that they will remain cryogenically frozen for the 300 year long journey while the crew of the generation ship navigates them there. The story starts off on an ominous note as Amy is undergoing the scary and uncomfortable freezing process being run by a couple of bored lab technicians. She overhears them admit there have been budget problems on the project, and the colonists will actually spend a year in cold storage, waiting for the ship to be ready. As Amy waits to go to sleep she comes to the horrifying realization that she remains conscious, yet immobile. The chapters alternate between Amy, intially caught in nightmares and trapped in her own mind, and Elder, who, well over 200 years after the ship has set course, is in training by his mentor, known only as Eldest, to take over the ship one day. Their paths cross when Amy is awoken, 50 years too early. Other frozen colonists are being murdered, one by one, and Elder and Amy set out to discover who is behind it. The passage of 250 years has created a completely new society on-board the ship. A few generations of intermarriage have erased any racial or cultural boundaries. Eldest rules the ship with an iron fist. Most of the crew readily comply with Eldest's every command with simple-minded devotion. Those who don't are committed to a mental ward. Procreation is only allowed within a "season" so that the different generations all age uniformly. I was glad that although they are the only two individuals approximately the same age on the ship, Elder and Amy don't instantly fall for each other. As another bonus: there's no love triangle! Elder has an unfounded jealousy of the friendly conversations his friend Harley has with Amy, but this is not a major plot point. It seems that Amy has always been highly dependent on her parents; she's extremely unsure of herself, and has been thrust into a situation where she's essentially orphaned and has to come to terms with that. The fact that her parents freeze her and bring her aboard as "non-essential cargo" - wow, could anything in the world be more demoralizing than that? I found it interesting that a colony ship would find her utterly useless. As a young woman, in great health (she loves to run) with skills in photography, Amy seems observant and smart, picking up on things that Elder misses. Surely, any new space colony would welcome her contributions? I loved the reversible cover. Both covers are equally arresting. I'm surprised that more attention hasn't been paid to the racefail of the cover. I liked Elder better with ethnic features, and it's truer to the story! The final couple of chapters of this novel were, in a word, awesome. The stunning revelations of the last few pages will have you wanting to turn directly back to the first page for a re-read so you can pick up all the amazing clues you probably missed. This was a terrific book that totally lived up to the hype. This has been sitting on my shelf for a while. Your review has prompted me to move it to the top of the pile! I loved this book so much, it took me a long time to write the review because I wanted to say something more articulate than, "Gah! Loved! Woo!" and other rambling exclamations. Wow- I hadn't heard anything about the whitewashing of the cover. In fact, I didn't even know that race was a factor in the story. Thanks for enlightening me! Amy has pale skin and red hair, and most of the inhabitants of the ship regard her as a freakish looking mutant. I definitely like the first one for the first two books.. then I don't like any of them for the third book.